UNSW Sydney will play a role in a new national consortium that gives students formal internships in clinical research, funded by MTPConnect. MTPConnect – the Medical Technologies and Pharmaceuticals Industry Growth Centre – today announced it would provide a proposed $250,000 provisional funding to the program called "ACCELERATE: building the talent pool" over two years, with proposed matched funding of $250,000 from the sector. The funding will allow the project – led by ARCS Australia and involving UNSW – to connect Medical Technologies and Pharmaceuticals (MTP) companies with appropriately trained graduates to equip them with job-ready skills to meet this gap. The MTP sector is constrained in growth through a lack of appropriately skilled and experienced workforce participants, particularly for conducting clinical trials. UNSW will assist ACCELERATE to meet its goal of putting up to 30 students through the program of industry-led education, mentoring and internship, over a two-year period. Dr Orin Chisholm, UNSW Master of Pharmaceutical Medicine Program Director, said the ACCELERATE program would make Australia a more attractive clinical research destination. 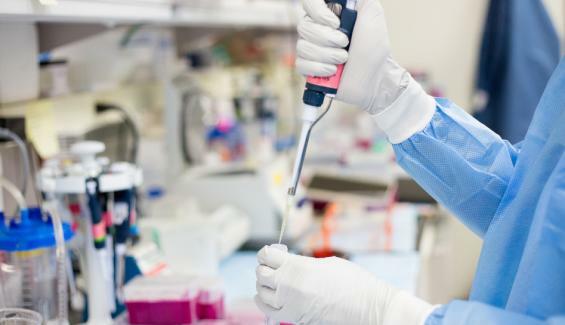 "I am pleased to be involved in this important industry-university sector collaboration, funded with support from MTPConnect, to grow a skilled clinical trials workforce that will increase Australia’s productivity and competitiveness in this area ultimately enabling Australians to benefit from access to innovative new medical treatments." This year, MTPConnect has selected 20 national MTP projects to receive $7.385 million in funding over two years with proposed matched funding of $15.2 million coming from the sector. Dr Shanny Dyer, CEO of ARCS Australia, said the funding was great news. "We have a strong and knowledgeable consortium to run this program, which will be able to work on meeting the growth needs of the MTP sector. We’re excited to expand the talent pool and build a skilled and informed workforce in Australia."